This is the second of three posts on Alberta Siegel’s earliest research on cartoon violence. What began as a simple inquiry to learn which Woody Woodpecker cartoon was the subject of her famous study — the answer to that is Ace in the Hole — has evolved into something much more revealing and surprising. It turns out that modern accounts of the story in respected newspapers and magazines are distorted and consistently wrong. These repeated accounts have enabled a foundation of credible references to build up. From this has sprung an origin myth that’s been a basis for critics to attack cartoons. I was even guilty of repeating some of these points in a previous post, even just to make light of the controversy. For instance, I now realize that the publication of Alberta Siegel’s article “Film-Mediated Fantasy Aggression and Strength of Aggressive Drive” did not immediately bring cultural awareness or media attention to her seminal study. Siegel’s notable obituary in the L.A. Times imparts one-third of its column inches to just this, the so-called “roughhouse” revelation about cartoons, something she’d done as a graduate student at the age of 24. This might seem out of proportion to her whole body of work and to her many later professional accomplishments, but the reason for this is that she is now best remembered as a pioneer who launched the enduring field of research on the effects of violence in media. From this humble beginning we can trace thousands of subsequent psychological studies and activists’ efforts to censor cartoons. There was, however, a very different intent to her work with those kids in the winter of late 1955. As her stepson Jay Siegel told me, she was not looking to draw conclusions but rather to find out “how are we going to study media and kids?” To receive a Ph.D. from her Stanford professors, she needed to demonstrate that she could do this within the rigor of scientific methods. In fact, her professors considered Siegel to be a rising star and it was highly likely that she would join the faculty once she completed her dissertation. She relocated to Pennsylvania with her new husband Sidney and stepson Jay in 1954, understanding that she needed to prove her mettle as a psychologist in order to return to California. Her intent was primarily to secure a job at Stanford that was hers to lose. If she did good work, this tangible reward was waiting for her. And it seems that her interest in this particular line of study was inspired by two people: her husband Sid and Lois Meek Stolz. Dr. Stolz was her mentor at Stanford who directed the doctoral major in Child Psychology. She was a pioneer in the field of parental behavior and its influence on kids. The attention to television came from Sid and even her stepson Jay, who remembers with glee the day he first watched The Lone Ranger on a home TV. In some ways, there is almost a tacit acknowledgment of TV’s coming role as babysitter—or even surrogate parent—with a student of Stolz conducting a study of this nature. Before Alberta met Sid, he worked for the Signal Corps during World War II and became an electronics expert. After the war, he got into the emerging field of television and opened a TV repair shop in San Jose at a time when there was only one station broadcasting in the area. He was a divorced dad and his son Jay marveled at the time in 1948 when their household was among the first in the Bay Area to watch the launch of KPIX Channel 5 in their living room. Sid’s career trajectory in the span of just a few years is one of those American boot-straps stories that people love to hear, but the short version is that he was a high-school dropout who tangled in some rough company before he really applied himself in the post-war years. He eventually enrolled at Stanford, where he crossed paths with Alberta. She was young and precocious, and she even had her own radio program as a teenager growing up in Pasadena. She rose quickly through her academic studies and chose Stanford for its legendary psychology faculty. Sid was older and he was more familiar with the hustle of a big city than he was with the niceties of university life. At Stanford he was the one who was naïve. Yet these two fell in love and married shortly after. Jay describes Alberta as a cool stepmom. 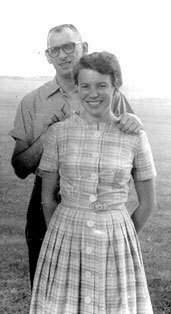 In fact, she used to let him buy MAD Comics, the precursor to MAD Magazine, in the early 1950s. He related to me that she never had a problem with him reading those, as irreverent as they were for a boy, even while she was conducting her study on cartoon violence. She was always, however, concerned with the amount of movie violence that Jay might watch. In her first study, conducted at a Penn State psych clinic, she needed to use film prints because it was the only way she could cue those up to play as soon as the little kids came over in pairs from the nursery school. In fact, she already had television in mind and I can’t help but wonder what role young Jay might have played in this. What must Alberta have thought about her new husband’s son responding with such delight to some of the earliest television shows? The researcher who really made the biggest impact on studies of TV violence was Al Bandura. In some of his earliest studies, he would project film on to a screen from behind. “And the child was told: this is television,” said Alberta in a 1992 interview with Lloyd Borstelmann, “but that was better than mine. I didn’t even have that. I just showed children movies.” Dr. Bandura was a friend and colleague of Alberta. Years later, he would always point to her at conferences or events and say that she started the whole field. Something I’ve just discovered is that Alberta had not really intended to show Ace in the Hole. 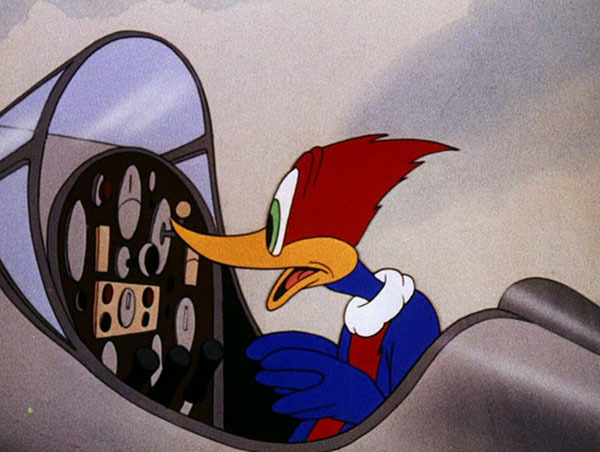 As I pointed out in my last post, it’s really a fairly tame entry from among the 1940s Woody Woodpecker cartoons. There are ones directed by Shamus Culhane that were far more violent. And not to mention the casual, sadistic mayhem of MGM’s Tom and Jerry series, among others. As for providing contrast to the gentle Little Red Hen, those would seem like much better choices. So it turns out that Woody is a bit vindicated in all this. He was, in fact, the compromise or the perfect dupe—violent, but not too violent. So how then did the results, consistently reported over several decades of media accounts, show that kids were “far more likely to roughhouse” when all they were shown was a “weak treatment” of a cartoon? The answer is simple: the results never showed that. All this time it’s just made for a better story because it’s so easy to imagine that the kids behaved that way after seeing Ace in the Hole. In 1955, the chair of Child Development at Penn State already “knew” the answer to that obvious question. So she censored Alberta Siegel from showing an actual violent cartoon because she “knew” it’d be bad for the kids. This has become a time-honored tradition, reporting something as fact when it is merely suspicion. Then, acting on those suspicions because it has just been reported as fact. It feeds a convenient cycle of news and moral authority. The most surprising part of this story is that the truth is all there in her 1956 published study, widely available now in digital format, yet it inconveniently doesn’t fit the preferred narrative. So, in some ways, this story is also a vindication of Dr. Siegel, though the anecdote has served to make her famous. She was certainly never inclined to dispute the findings of those who followed her. As well, she accepted invitations to serve on government panels on this issue, but her own research had quickly gone in a different direction after her auspicious start. Neither Woody Woodpecker nor any other cartoon was ever a subject in her experiments again. It’s worth pointing out about that little kid named Jay Siegel who was right there in Pennsylvania living with his dad and Alberta. He was effectively witness to history, only a little bit older than those 4-year-olds watching Ace in the Hole in a psych clinic. He too enjoyed comics and violent cartoons and yet today living in Menlo Park as a retired economist—Ph.D, Stanford, 1970—I don’t think anyone would argue that he turned out all right. Special thanks to LMU Librarians Elisa Slater Acosta, Rhonda Rosen, and Nataly Blas for their help with my research. I’m grateful to Jay Siegel for his recollections and assistance in providing details for this story. I wanted to point any readers interested in more information to see his memorial website to Sid and Alberta Siegel. Amazing. 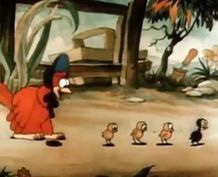 This initial reluctance to show more violent examples might also help to explain how Famous Studios’ cartoon output managed to get pretty much a free pass for decades from media watchdogs while less overtly “aggressive” cartoons from Warners, Disney and MGM took the brunt of the criticism and censorship. People in all types of categories enjoy validation of their per-conceived notions. The Child Development Chair at Penn State held the same beliefs that critics of the Hollywood theatrical cartoons had held since the early days of complaining that Mickey Mouse was too violent. Dr. Siegel’s study was simply used to back up what they already ‘knew’ in order over the next 35 years to force their censorship beliefs on the public at large. Tom, I don’t think you are receiving enough compliments for these two articles. This is wonderful original research and you have presented it in a clear and fascinating way. 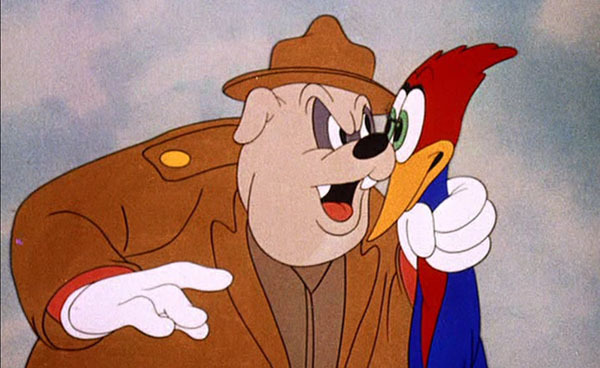 I only “knew” there was a study showing that Woody Woodpecker caused violence in young children so many thanks for expanding my knowledge and perspective so I know the full true story. Thanks also to Jerry Beck for providing this type of forum where animation history can be shared. I thoroughly enjoyed your articles. Thank you from all of us, including the ones who enjoyed it and never comment. Okay buddy. That makes two posts from you with no cartoon. Me and da boys on my cell block all grew up on cartoons and we don’t like it when we don’t get what we was promised. You want aggressive, lemme introduce you to Maxie, I wouldn’t say he’s a sociopath, but it’s nothing to him, at the tiniest whim, he’ll peck a few holes in your head. And that’s gonna hurt. Great article! 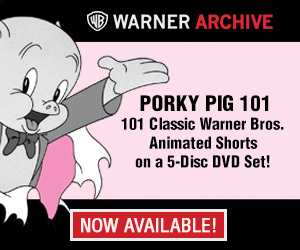 I am a fan of the Walter Lantz cartoons, but don’t know nearly enough about them. I think that when society needs somebody to blame, cartoonists tend to fill the role of the usual suspects quite nicely. Thanks all for the feedback and kind words. This really was a surprise to have stumbled on to this story during my earlier Kubrick/Culhane piece. I sort of agree with Peter that it’s been “two posts with no cartoons,” but in the name of correcting the myth of the ‘roughhouse results’ that media has proliferated, I hope you’ll all bear with me for one more final entry on this topic to set the story straight. Plus, there’s still another revelation! So it’s one more time in the psych clinic and then I promise it’s back to the Lantz studio. Drumroll. At least our fave sociopath Woody has a stronger role next time, so bring a rubber dagger.